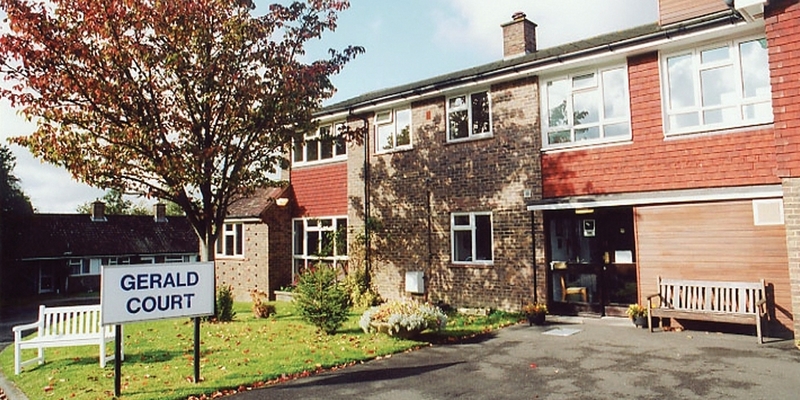 Gerald Court is situated in a quiet cul-de-sac just a short walk from Horsham town centre. The development consists of six studio apartments, 16 one-bedroom apartments and one two-bedroom apartment. It is also linked to five bungalows in Vincent Close and eight bungalows in Orchard Road.